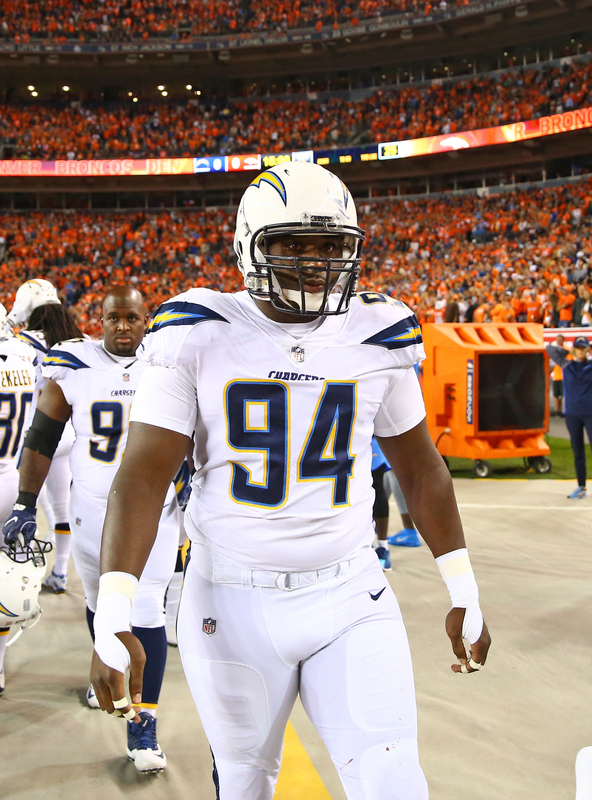 The Chargers have declined their 2019 option on defensive tackle Corey Liuget, the club announced tonight. 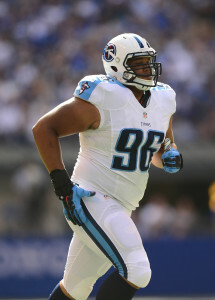 However, Los Angeles also indicated it would be open to re-signing Liuget at a reduced rate. Liuget, 28, agreed to a reworked contract in advance of the 2018 campaign that changed his 2019 season to an option year. Under the terms of that deal, Liuget was scheduled to collect a $4MM roster bonus on March 15. Instead, Liuget will now hit the free agent market two days earlier on March 13. Because the Chargers opted not to exercise his option (and didn’t outright release him), Liuget will still factor into the NFL’s compensatory pick calculations. Had the Chargers picked up Liuget’s option, he would’ve been under contract in 2019 with a base salary of $4MM. That total, plus his $4MM roster bonus and $1.5MM of prorated bonus money would’ve given him a cap charge of $9.5MM. Los Angeles likely viewed that as an untenable figure given that Liguet played in only six games a year ago. Liguet missed the first four games of the 2018 season after being handed a four-game performance enhancing-drug suspension. That ban essentially forced Liuget to accept his aforementioned pay cut, and ensured he didn’t appear in a game until Week 5. After coming back, Liuget five tackles for loss and 1.5 sacks while earning a 66.9 grade from Pro Football Focus, a mark that would have ranked him as a middling defensive tackle if he had enough snaps to qualify. The Chargers will now have now have a vacancy along the interior of their defensive line, especially given that fellow defensive tackles Brandon Mebane, Darius Philon, and Damion Square are all free agents. Liuget, meanwhile, will join a free agent class that includes not only those fellow 2018 Chargers, but options such as Grady Jarrett, Sheldon Richardson, and Ndamukong Suh. The player the Eagles cut to make room for Timmy Jernigan‘s activation did not clear waivers. Instead, T.Y. McGill will head to Los Angeles. The Chargers claimed the defensive tackle off waivers from the Eagles. He’ll join a fourth team in four NFL seasons. McGill played in two games for the Eagles this season. He was not on the Super Bowl LII team, playing last season with the Browns (three games). McGill’s most notable work came in his first two seasons, when the former UDFA suited up in 25 Colts games. Los Angeles had a need on its defensive interior after losing Corey Liuget for the season. 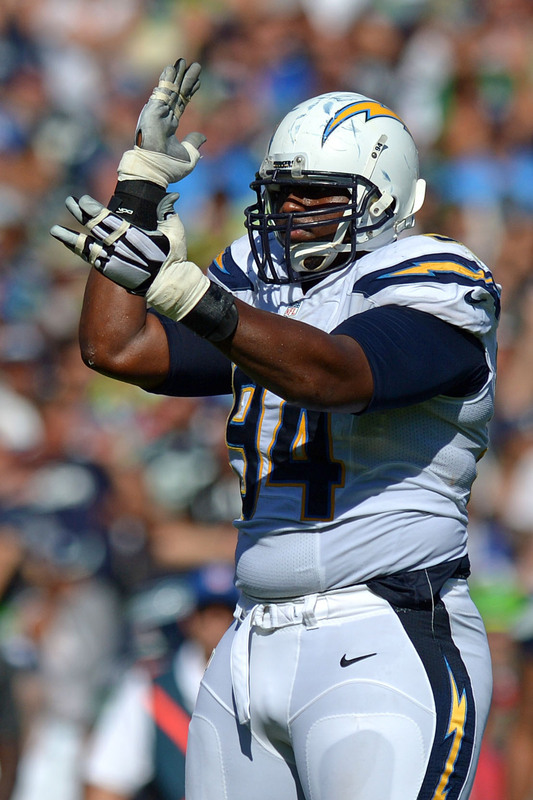 The Chargers announced the veteran defensive lineman underwent successful quad tendon surgery on Wednesday. He’ll soon head to IR and begin a six- to ninth-month recovery process. That would put Liuget on course for Bolts training camp, if the rehab unfolds as hoped. Darius Philon will likely move into the Chargers’ starting lineup, and McGill will join Damion Square and third-round rookie Justin Jones as Bolts backups up front. Chargers coach Anthony Lynn told reporters defensive tackle Corey Liuget‘s season is over after he suffered a right knee injury in Week 11 vs. the Broncos, ESPN’s Eric D. Williams reports. The Chargers just can’t buy a break on the defensive end. After losing linebacker Denzel Perryman for the year earlier this week, the team received good news on Sunday when Joey Bosa made his season debut. The celebration was short lived now with the injury bug striking the veteran Liuget, who sustained the blow in the first half of Sunday’s loss vs. Denver. Since being drafted by the Chargers in the first round in 2011, Liuget has appeared in 108 games, with 102 coming as starts. His presence up the middle following a four-game suspension for violating the league’s performance enhancing drug policy has been key for Los Angeles in stopping the run. In Liuget’s absence, the Chargers will likely turn to Darius Philon, who has made seven starts this season, and Justin Jones. As we approach Week 5 of the NFL season, several NFL players are returning from four-game bans. 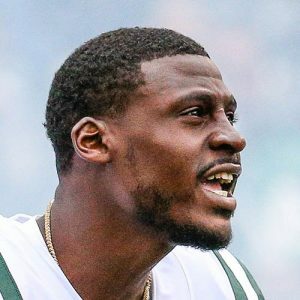 As noted by Ian Rapoport of NFL.com (on Twitter), that list includes notables such as Saints running back Mark Ingram, Patriots wide receiver Julian Edelman, Bengals linebacker Vontaze Burfict, Cowboys defensive tackle David Irving, Chargers defensive tackle Corey Liuget, Colts running back Robert Turbin, Raiders cornerback Daryl Worley, Ravens cornerback Jimmy Smith. Players do not count against a team’s roster max while suspended, so clubs will have to make room for these players before adding them for Week 5. There will be some tough decisions to make, but the upside is clear in most of these cases, particularly when it comes to offensive weapons like Ingram and Edelman or defensive pillars like Burfict and Irving. Alvin Kamara should remain the focal point of the Saints’ running game, but the return of Ingram will give opposing defenses something else to think about. 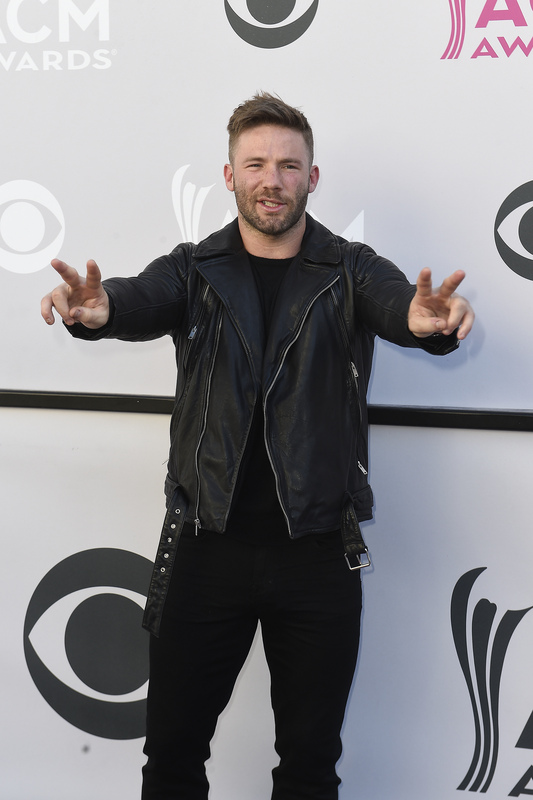 And, as we saw in the first three weeks of the Patriots’ season, Edelman has been sorely missed. Delicia Gordon, the ex-girlfriend of Bills running back LeSean McCoy, will hold a press conference on Friday to explain why she is “certain” McCoy was involved in a July home invasion that left her battered and bloodied, writes Mike Rodak of ESPN.com. While Georgia police haven’t yet uncovered any direct evidence linking McCoy to the incident, Gordon is offering a $20K reward for information tying McCoy to the crime. Reports earlier this month indicated McCoy was not expected to face charges stemming from the invasion, while the NFL also hasn’t expressed any interest in suspending him. On the field, McCoy is questionable for Sunday’s contest against the Vikings as he deals with a rib injury. Chargers defensive tackle Corey Liuget is suing athletic trainer Ian Danney for $15MM in damages after Danney allegedly injected the former first-round pick with a banned NFL substance, as Eric D. Williams of ESPN.com details. Danney reportedly told Liuget he was using an over-the-counter anti-inflammatory to treat pain, but Liuget alleges the substance led to his four-game performance-enhancing drug suspension. Liuget ultimately accepted a hefty pay cut from Los Angeles, as his pay was slashed from $8MM to just $935K (with more money available via incentives). As Ian Rapoport of NFL.com tweets, Danney treats dozens of NFL players, so this case could be crucial on a league-wide basis. The Texans are open to moving veteran defensive back Kareem Jackson back-and-forth between safety and cornerback, as Aaron Wilson of the Houston Chronicle writes. Jackson, a longtime corner, shifted to safety this offseason to replace Andre Hal, but moved back to corner against the Titans in Week 2. Now 30 years old, Jackson graded as just the No. 95 cornerback in 2017, per Pro Football Focus, so lining him up in that position certainly has its risks. Houston head coach Bill O’Brien said Jackson’s role will be determined on a week-to-week basis, and where Jackson lines up will affect whether Aaron Colvin (cornerback) or Justin Reid (safety) is viewed as a starter. Iowa State football coach Matt Campbell is a name to watch in NFL circles, according to Albert Breer of TheMMQB.com. A general manager brought up Campbell’s name this summer, per Breer, and another executive mentioned Campbell after the Cylcones competed with Oklahoma last weekend. Campbell, who was highly successful at Toledo before taking over the Iowa State program in 2016, finished with an 8-5 record last year. Three years ago today, the Chargers agreed to a deal that they probably grew to regret. Fortunately for the organization, they managed to remedy the financial predicament during this past offseason. Defensive tackle Corey Liuget had been selected by the Chargers in the first round of the 2011 draft, and he proceeded to miss only a single regular season game during his first four years in the NFL. The Illinois product received several accolades during this run, including the David Griggs Memorial Award, which is awarded to team’s defensive player of the year. Coming off a 2014 season that saw him compile 57 tackles, 4.5 sacks, and two forced fumbles, Liuget ended up signing a five-year, $58.5MM extension ($30MM guaranteed) with the organization that would kick in at the start of the 2016 campaign. While the 2015 season didn’t include the extension money, it was the first sign of trouble for Liuget. The defensive lineman was relatively productive in 11 games, collecting 34 tackles and three sacks. However, he ended up landing on the injured reserve after 11 games, ending his season early. He failed to put up big numbers in 2016 (29 tackles, no sacks), and he was limited to only 12 games last year. To make matters worse, Liuget was slapped with a four-game suspension to start the upcoming campaign. The Chargers were apparently considering a way out of the contract, as they ultimately reworked the lineman’s deal this past offseason. Liuget was set to earn $6MM in 2018 (sacrificing an additional $2MM due to suspension), but his base salary was dropped to less than $1MM. Surely, the Chargers would have preferred if the defensive lineman had ended up over-performing (or even living up to) his lucrative contract. Fortunately for the organization, they were able to wiggle their way out of a potential financial issue for the upcoming season. Multiple clubs have already reached out to free agent running back C.J. Anderson, whom the Broncos released on Monday, according to Mike Klis of 9News (Twitter link). Anderson, 27, appeared in all 16 games for the first time in his career in 2017, rushing for 1,007 yards and three scores. However, Anderson has managed only four yards per carry over the past two seasons, and — as Warren Sharp of SharpFootballStats.com detailed in an excellent Twitter thread — struggled with early-down work a year ago. Speculatively, teams that could be eyeing a running back addition include the Dolphins (who have expressed recent interest in Anderson in the past), Patriots, Texans, Giants, Redskins, Lions, Panthers, and Seahawks. The Cardinals hosted Oklahoma quarterback prospect Baker Mayfield on Wednesday, per Robert Klemko of Sports Illustrated (Twitter link). Mayfield is widely expected to be a top-10 selection, and has been heavily linked to the Jets at No. 3, so Arizona — which currently holds the 15th overall pick — likely won’t have a shot at the ex-Sooner unless it trades up. But the Cardinals certainly need an infusion of talent under center, as neither Sam Bradford nor Mike Glennon are long-term options in the desert. Bradford inked a one-year, $20MM deal with Arizona earlier this year, while Glennon signed a two-year pact. Mayfield, if selected by the Cardinals, likely wouldn’t play immediately given the presence of Bradford, but he would set the club up for years to come. Punter Riley Dixon did not report to Broncos‘ workouts on Monday and has been advised by his agent to stay away until Denver informs him of his status with the club, tweets Klis. The Broncos signed former Raiders punter Marquette King to a three-year deal earlier this month, so they’re clearly not going to keep Dixon around in 2018. Denver had been expected to shop Dixon, but it’s unclear if any other team is willing to sacrifice anything of note for a specialist with a spotty track record. Dixon, 24, has been the Broncos’ punter in each of the past two seasons after entering the league as a seventh-round pick in 2016. In 2017, Dixon ranked 22nd in net punting average, while Denver as a whole finished 26th in Football Outsiders‘ punt points metric.